Rogue-likes have become synonymous with dungeon-crawlers and very rarely do you see it in other genres. Although it isn’t horribly executed outside the dungeon-crawler genre, the mechanics behind a rogue-like work even better within dungeon-crawlers. It’s fast paced, chock-full of explosive action and perma-death is no laughing matter. One screw up can lead to your inevitable demise and you will see yourself starting from the beginning with all progress lost. Talk about taking something infuriating and making it a central mechanic. To everyone’s surprise, it is very enjoyable. There is a sense of reward when you finally overcome the section you were stuck on. It feels and plays even better when you acquire powerful abilities/upgrades allowing you to unleash devastating and UNLIMITED POWER! 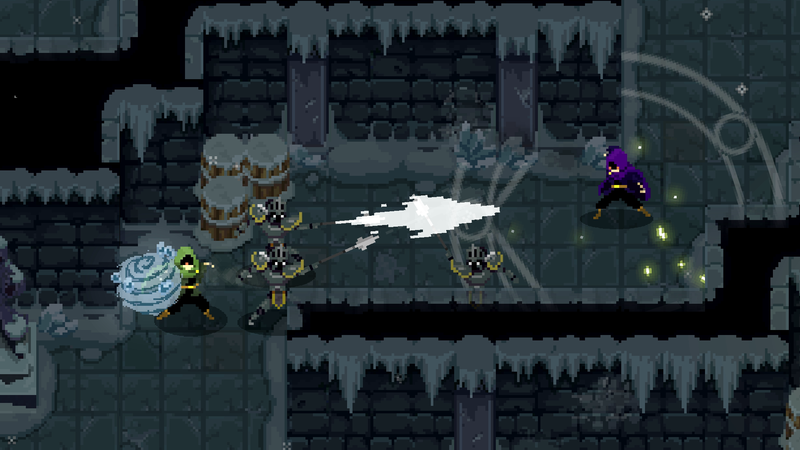 Wizard of Legend is the latest rogue-like dungeon-crawler created by Contingent99, a two man team. Can you believe it? Two people worked on this game. The gameplay and the core mechanics behind it are very similar to other dungeon-crawlers, à la Enter the Gungeon and The Binding of Isaac. 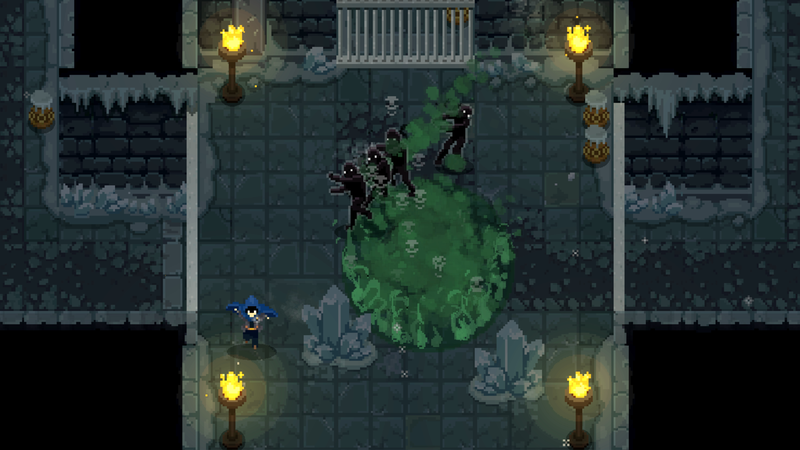 You will need to clear the dungeon’s floors of enemies as well as bosses and, if you happen to inevitably die, you will be returned to the start of the dungeon with all progress lost. 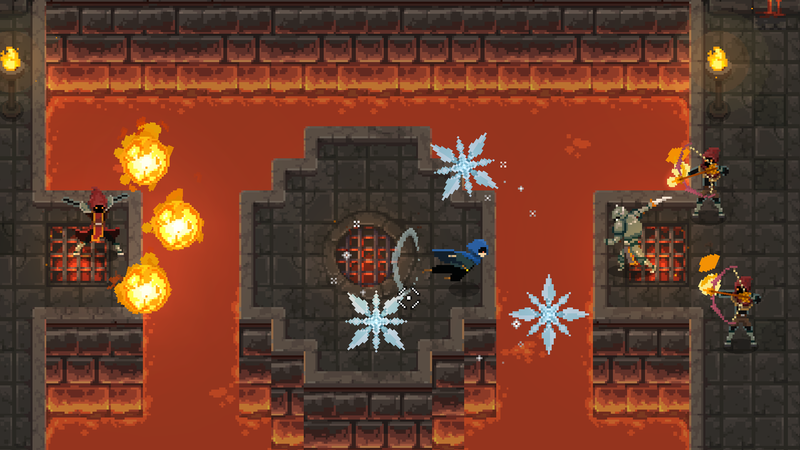 However, in the case of Wizard of Legend, you won’t be using your tears or guns to attack enemies, but powerful arcana (spells) executed through martial arts. You are a wizard, after all. Beautiful and Charming Animations/Art: When you think of martial arts and magic, the first thing to come to mind is Avatar: The Last Air Bender. The cartoon not the live-action movie; in fact, I refuse to accept the movie’s existence. It blended beautiful martial arts choreography with elemental spells and there was something so satisfying about kicking boulders at the enemy or majestically dancing in fluidity with water. Excuse the pun. These techniques were called ‘bending’. Wizard of Legend’s animation play in the same way. When you have a ranged earthen element as a basic attack, you will see your character summon the ball of earth from the ground before one-inch punching and/or kicking it in the direction of your choice. What makes these animations exceptional is that every punch or kick conveys the weight and strength of the rock. Whereas with the water element, your attack animations will be more naturally flowing and fluid in motion. Again, excuse the pun. The developers have gone above and beyond and have meticulously detailed the animations. Every arcana will have its own unique animations and there are myriads of them. I’m not joking, there are more than a hundred of them with 6 different elements. Furthermore, the game boasts a nostalgic pixel art that conveys all the details needed of what you’re looking at. Never has a pixel game looked more clean and crisp. Truly beautiful. 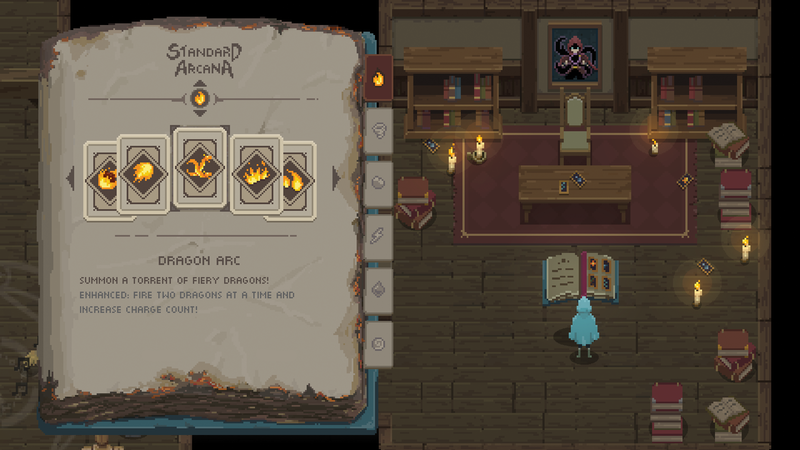 Customizable Play-style: Wizard of Legend boasts over one hundred arcana and over one hundred relics. You will need to equip four arcana before you can start your dungeon crawling. You will need to equip one arcana for a Basic Attack, Evasive Dash, Normal Spell and Signature Spell. The basic attacks are either melee or ranged and are combo-able meaning you can chain them together. The dash is an evasive arcana allowing you to enter or exit fights whenever you please. The first spell is usually your primary offensive spell, or defensive depending on your play-style, and will be used the most. The last slot is dedicated to a ‘signature’ which when building up a long enough combo on enemies, the combo bar will fill up allowing you to unleash a more powerful version of its standard version. You can also just use it as a standard version too while you’re charging up the devastating ‘signature’ move. Additionally, you will also be able to equip one relic piece. These are essentially passive items/totems that you can take with you into a dungeon run and usually come in three different categories: Offensive, Defensive and Miscellaneous. These range from increased damage/critical, defense, armor to 100% map unlock (my favorite), increased gold, agents (summon-able allies) and decreased cool-downs. Furthermore, you can also change your mantle/cowl to suit your play-style. Each of the 9 have their own stats and color. Some increases damage at the cost of defense/health/armor and vice versa. My favorite was Grit (brown) which increased my defense and armor giving me more sustainability. 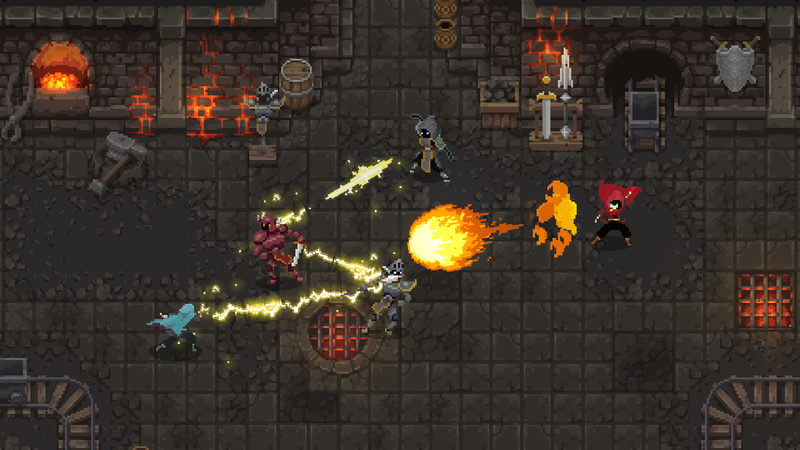 The point is that Wizard of Legend offers plenty of options to center your build around your own play-style and there is enough for every play-style. Depth in Strategy: As mentioned before, there are a variety of arcana with 6 different elements.These arcana have their primary effects and an enhanced effect. For example, the Thundering Chain will call forward a chain of lightning from the sky in the direction of your choice. Its primary effect is to generate the lightning as described but to also shock the enemies. It’s enhanced effect will generate the lightning near instantly simultaneously allowing for better crowd control. In addition, there is an elemental strength/weakness hierarchy as well. Using Lightning elemental arcana against Earth enemies will do significantly less damage but more against Water. Think JRPG’s or Pokemon. The circle goes as follows: Fire > Air > Earth > Lightning > Water > Fire etc. To have a higher chance of success in completing a dungeon run, a smart wizard will plan beforehand for all situations. Furthermore, there are also shops in the dungeons allowing you to purchase relics, arcana and enhanced arcana. There is also an NPC that gives you cursed relics which are a more powerful version than their standard counterparts but are offset by significant drawbacks like decreased health, defense, armor, increased store prices etc. Wizard of Legend offers diverse strategy and all of these mechanics are greater than the sum of its parts. That isn’t to say that they don’t work well individually. They do. Everything synergizes so well together. Git Gud: The game has a very steep learning curve when you first play it but it gradually becomes easier as you stick with it. When you first start out with your beginner arcana and relics, it will be hard to know what arcana to use or relics to take with you. You don’t have much in the way of purchase options either since you won’t have enough chaos gems to purchase arcana and relics. Eventually, with time, patience and dedication, you will come to know the enemies’ and boss’ attack patterns, the effects of each relic and arcana and which build suits your overall preferred play-style. Thus, the next time you see that pesky Earth Boss in Zone 3, you will be able to kill him without building up a sweat. Wizard of Legend is the very essence of ‘getting good’. Along the way, you will be rewarded with chaos gems for defeating bosses and sometimes for defeating average enemies in the dungeon rooms themselves. This allows you to purchase more arcana and relics constituting further to experimenting with different builds and getting better over time. Constant Rewards: As mentioned before, a rogue-like erases all progress within the dungeon after you die. Any arcana or relics you picked up will be deleted upon death, fundamentally putting you back to step one. However, upon defeating a boss or sometimes the average enemies in dungeon rooms, you will be rewarded with Chaos Gems. These gems are a form of currency and stay with you even in death. Once you are at the hub world, you can purchase more arcana, relics and mantles permanently. You can even pay an NPC 20 Gems for 200 Gold so the next time you start a dungeon run, you will have a 200 gold advantage allowing you to further purchase more relics and/or arcana for your current run but these do not, including the gold, persist through death. There is also another NPC that, when given 10 gems to, ensures you fight a certain boss first. I always paid him the 10 gems to ensure the Earth Boss was the first to fight as his arena/stage was too small to be dodging 5 different attack chains later in the run. The first boss will always have 3 attack chains rather than 5 making it easier to dodge in the claustrophobic room. There are plenty of things to do with Chaos Gems and these are always being given out for various feats. 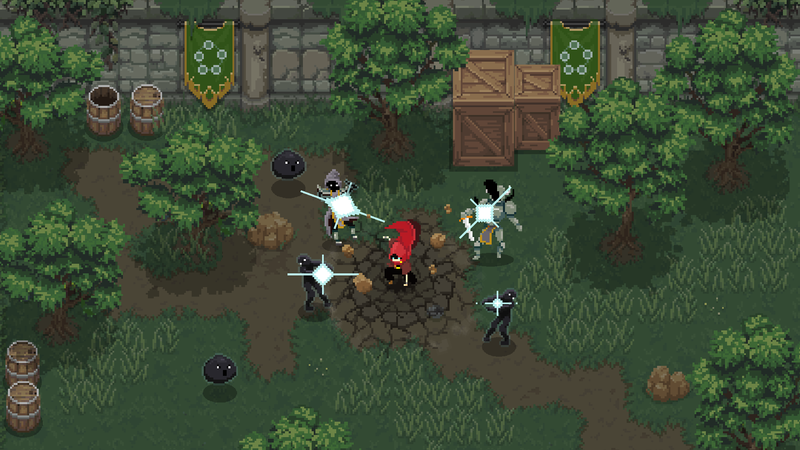 Local Co-op: Wizard of Legend is one of many few games that offers couch co-op. You can share the fun with a friend or even a family member. What is truly great about this feature is that you have twice the firepower to decimate the enemies with. Your play-styles will be very different most likely and will make the dungeon runs easier. One can be a glass cannon battle-mage whilst the other can be a tank offering crowd control. No matter what the play-style is, co-op will always be fun. Not Enough Dungeon Variety: It’s genuinely frustrating to see that the dungeons and the average enemies that occupy them do not have enough depth behind them, when so much attention has been put into the animations, art, arcana/relics and combat. The dungeon only has 3 zones: Earth, Fire and Ice, with each zone having two regular dungeon floors followed by a final boss floor. The dungeon floors end with a boss fight against a more beefed up version of a regular enemy within the floor. The boss floors consist of a fight against one of the three elemental lords followed by a final floor against the Chaos Lord. The drawback is that there isn’t much variety when it comes to the two regular floors. The rooms quickly become familiar as does the enemies. The only difference is a color palette swap. The generic enemies will change from grey to red, blue or green depending on which Zone you are on. There are also a few NPC’s on the floor you are currently on but there will only ever and always be 3 of them. Their dialogue also repeats when interacting with them. Although these are some drawbacks, it doesn’t detract from the overall gaming experience. I was surprised to see that I cared very little about this as it mattered less when I was zapping enemies with my lightning attacks like Emperor Palpatine and yelling Unlimited POWER or dashing across the rooms, creating voids in space-time and appearing on the other side. Your brain is constantly engaged in combat so you will never be thinking about repetition or color palette swaps, especially when the screen can become hectic, filled with spells trying to kill you from every angle. It’s also worth noting that there are 6 elements in the game but only four bosses. I would like two more bosses not because it got boring but because I want more enemies to kill and obliterate, mwahaHAHAHAHA! None shall live to tell the tale of their great escape. Die before my spells you elemental Lord scum! NPC’s Need Tooltips: Another detriment to the game comes in the form of tooltips. When an arcana or relic is in your inventory, you will be able to read its description find out the effects. However, this is not the case when you are purchasing these from any of the NPC shops in or outside of the dungeon. It’s more pertinent inside of dungeons as you will never know what a relic or arcana does. The only way you can find out is to either buy it or refer to a compiled list online which, at the time of writing this review, wasn’t available for me. There is now a list on Steam that can be used but that doesn’t excuse the fact that you have to use external sources to find the effects of arcana and relics. It reminds me of Destiny’s grimoires. Although it isn’t as egregious, the point is still the same. This is quite possibly the only major drawback. 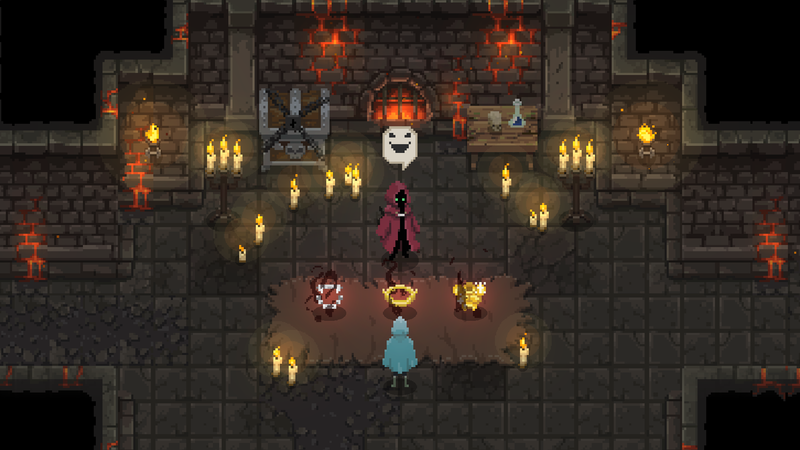 Wizard of Legend is a magnificent, responsive and jaw-dropping procedurally-generated dungeon-crawler. It is chock-full of intense action complimented by the truly beautiful animations and art style. The combat is very flexible and customizable and is nothing short of satisfying. It will make you feel like The Avatar, bending the 120+ different elemental arcana (spells) at will, or even Emperor Palpatine zapping enemies with UNLIMITED POWER! The excitement doesn’t stop there however, as you are able to experience the game in local co-op for twice the amount of devastation and fun. Although it does get a tad bit repetitive in terms of dungeon layout, since your brain is constantly engaged in strategy and combat, you will never be thinking of repetition. For those who are looking for a challenge or for an amazing game, Wizard of Legend is a must pick-up. You won’t regret it. 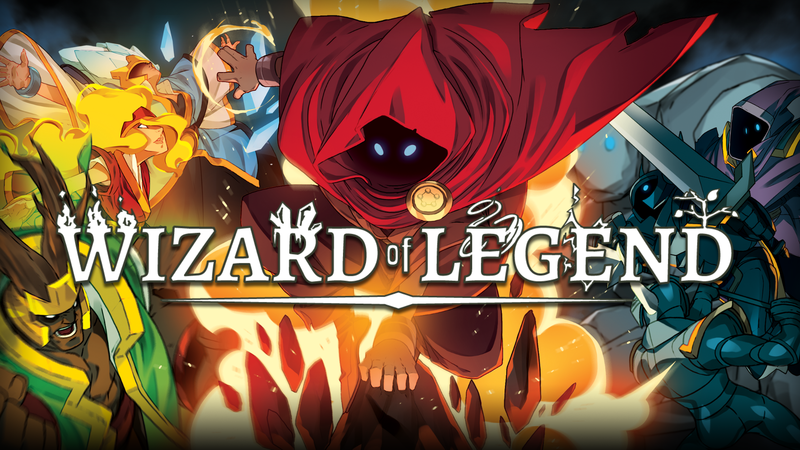 Wizard of Legend was developed by Contingent99 and published by Humble Bundle. It was released for PC, PlayStation 4 and Xbox One [reviewed] on May 15th, 2018. A press review copy was provided for The Hidden Levels. Many studios submit copies for site review but this is in no way factored into our review scores. Games are scored on their individual merits and our rating system is explained here.